The biggest and best annual event in the superhero TV calendar is upon us: the Arrowverse crossover. 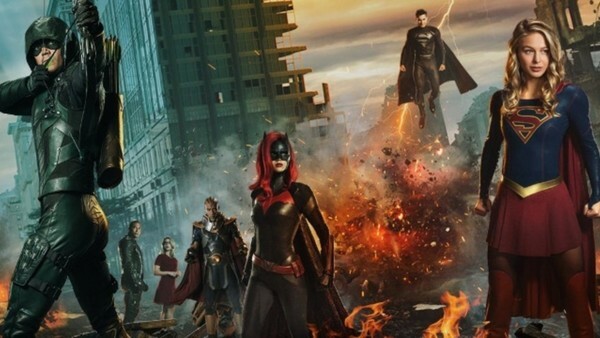 While the individual series that make up the Arrowverse have wildly fluctuated in quality over the last few years, the yearly crossover is as reliable a run of episodes as they come. Starting out with just Arrow and The Flash, before factoring in Legends of Tomorrow and eventually Supergirl, they're exactly what a comic book team-up should be. Fun, knowing, with all kinds of characters meeting, numerous mini team-ups, and awesome action. Last year's Crisis On Earth-X took things to new heights, with Green Arrow, The Flash, and Supergirl fighting Nazi versions of themselves amidst the West-Allen wedding. And this year's is aiming to outdo things once again. Titled Elseworlds, which in the comics is the name given to multiverse storylines that exist outside of DC Universe canon. This will take inspiration from that, with reality being rewritten and only Green Arrow and The Flash knowing the truth. Legends of Tomorrow are setting this one out, but there are still a number of characters new and old confirmed for the three-night crossover.